This entry was posted on August 19, 2014 by Goplasticpallets. From public holidays and festivals to events and celebrations, the UK’s annual calendar is packed with opportunities for retailers to run in-store promotions and seasonal displays that will attract attention and increase sales. A number of factors determine the success of in-store promotions: the location of the display, the visibility of products and the look and feel of the structure. They also all require a solid base that securely supports the merchandise and is easy for retailers to position in-store and for staff to replenish. 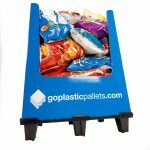 With Goplasticpallets.com’s strong, nestable display pallets, retailers can transport their promotional goods safely and swiftly to the shop floor using hand pallet trucks in one smooth and simple process. 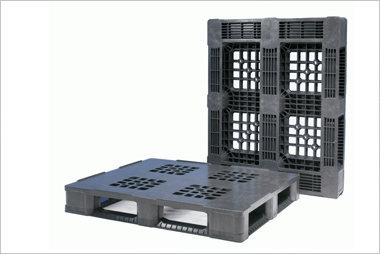 Due to their lightweight structure, nestable plastic pallets appear discreetly in the retail space, unlike wooden alternatives that are still used by many retailers, and offer a much more hygienic option for displaying merchandise too. 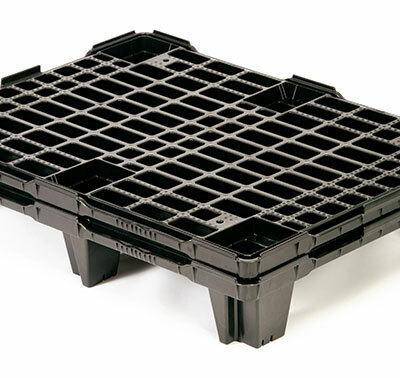 Goplasticpallets.com’s nestable display pallets come in two footprints 800mm x 600mm and 600mm x 400mm, which are significantly smaller than the average size wooden pallet, allowing retailers to maximise floor space. When the nestable pallets are not in use, they nest inside each other saving considerable room in storage and transportation. 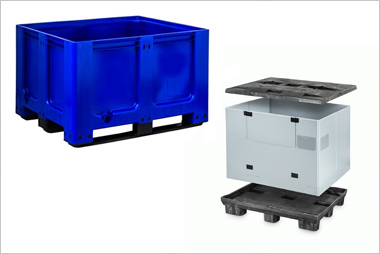 A half Euro size nestable pallet – for example Goplasticpallets.com’s APB6080 display pallet – can be piled up to 35 pallets high, which allows a standard trailer load of 66 stacks to transport 2,310 pallets in one go. 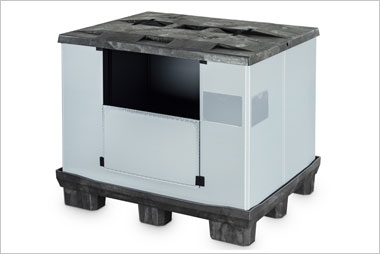 When turned at 180 degrees, the pallet can also be securely stacked up to 20 pallets high. Transporting modular structures on wooden pallets requires delicate handling to stop the display moving. Although staples can be used to fix the structure to the pallet, this is a fiddly and time-consuming task. Nestable plastic pallets can alleviate this problem. Goplasticpallets.com’s APB6080 display pallet has a slot around the top deck to fit a 7mm cardboard or plastic sleeve. The slot is deep enough to hold the sleeve securely in place and for additional support the pallet is also available with lips. 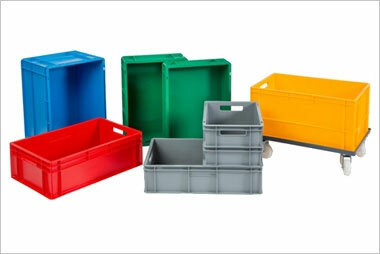 For large orders, Goplasticpallets.com’s APB6080 nestable display pallet is available in a variety of different colour options and can be personalised with a moulded insert helping retailers identify goods and prevent loss in transit. 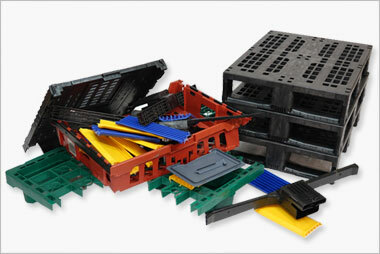 Manufactured by SmartFlow in Belgium this pallet is available in the UK exclusively through Goplasticpallets.com. To order a sample or arrange a meeting to discuss your display requirements call us on 01323 744057 or fill in our enquiry form.